Probably the first thing that comes to mind when thinking about renewable energy is solar energy. It is an obvious solution for clean, renewable energy. The power of the sun can be utilized in a number of different ways for either heat or electricity and best of all, the sun hits the Earth everyday and is the power source for nearly every other living thing on this planet. Unfortunately, solar has gotten a bit of a bad reputation as the technology that is always 5 years from being viable today. We're here to tell you that there are definitely viable solar options available today if you're willing to look past the big blue panel. Solar power has many different faces, some of which are more efficient and cost effective than others. One great way to use solar energy is to have the sun help you heat your home just through proper building techniques. This usage of solar energy is discussed in the Your Thermostat section. The other types of systems that use solar energy for producing heat and electricity are discussed below. Solar thermal technologies rely on the sun's heat energy, which is considered to be one of the lowest quality energies, to produce something useful, whether it be heating for a building or electricity. There are two main types of solar thermal systems, one for producing heat for water and buildings and one for producing electricity on a large scale. 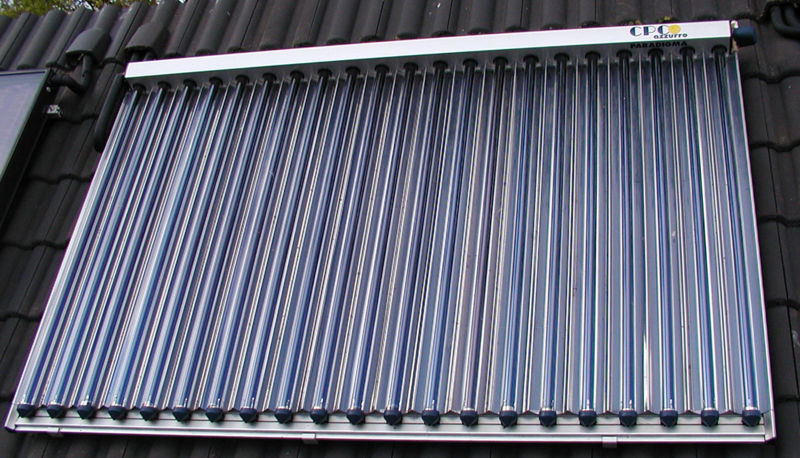 The first is often simply referred to as solar thermal systems, but are sometimes called by the names of their collectors, which are commonly either Flat Plate Collectors or Evacuated Tubes. 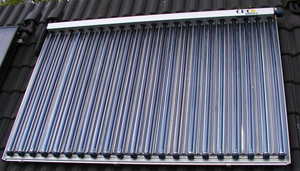 These are the sorts of systems that have been used to for heating swimming pools in the summer. In short, they involve collecting heat from the sun and using it to warm water. This warm water can be used instead of a water heater and can also, if the system is big enough, be used to provide some heat to a building. This can lower heating costs and overall electricity or natural gas usage more or less regardless of your climate. These are the most viable options out there today. The second system is something that is generally referred to as Concentrating Solar Power (CSP). This is a collection of different systems that use the sun's heat to warm up a fluid, which is then used to create steam and turn a turbine, producing electricity. These are large scale systems often situated in areas with a lot of sun in place of a new coal or natural gas plant. Photovoltaic technologies are probably the best known of the solar energy technologies. They are used to create electricity directly from sunlight. There are a couple of different options for these sorts of systems as well. Thin films and silicon photovoltaic panels. Thin films are the newer, less efficient, but cheaper and more versatile solar panels. These, as their name suggests, are often found as thin layers of electricity generating films placed on top of other common materials. The efficiency is not as high, but neither is the cost, and there are companies looking to put them on everything from shingles to pavers to siding. The final type of solar power we will talk about here is the big blue panel everyone seems to be familiar with. These are generally referred to as silicon photovoltaic panels. While they are constantly being redesigned, this technology seems to actually be the least promising of the four for a sustainable global solution. A major problem with these panels is their cost, their lack of flexibility, and their material requirements (silicon is a plentiful material, but is also difficult to get in a pure enough form for use in solar panels). These are still a major part of the solar market, but we want you to realize that there is a lot more to solar energy than those blue panels and that there are better technologies out there.